The population of Northern Transylvania has been subjected to a politics of forced assimilation. The top of this ethnocide consisted of the plan of the dictator Ceauşescu to destroy the living areas of the Hungarian. The ethnic Hungarians citizens of Romania were subject to human right violations and bullying on a daily basis. Even after the fall of the dictatorship the Romanian government organised a pogrom in the former autonomous Hungarian province against the ethnic Hungarian majority in this Szeklerland region. Giving a passport as a present on the sole basis of ethnicity undermines the equality of Romanian citizens amongst each other. Mr Basescu is not giving a passport as a present to the Hungarian speaking population of Serbia and the Ukraine. By doing this he does not disguise the discrimination of his own citizens at all. Besides this the republic of Moldavia strictly prohibits a second citizenship. As a matter of fact all Moldavians that get a Romanian citizenship present are no longer Moldavians citizens. This leads to a very questionable situation, in which Romania is actually confiscating a piece of land. This is a very severe provocation and a violation of international law, it goes against European legislation and it creates ethnic tensions in the region. FiguRE 1. AutonOMOUS LANGUAGES IN EUROPE. The comparison of the political boundaries of central Europe, with the boundaries of the autonomous languages show remarkable differences. Large Hungarian speaking areas can be found in Romania. This is because Northern Transylvania has been placed under Romanian administration since 1947. This happened without the consent of the population. In 1944 an other area was placed from Romanian administration to the Soviet Union. The majority of this region, which is known as Moldavia is Romanian speaking, just as the majority of the autonomous population of north Transylvania is Hungarian speaking. 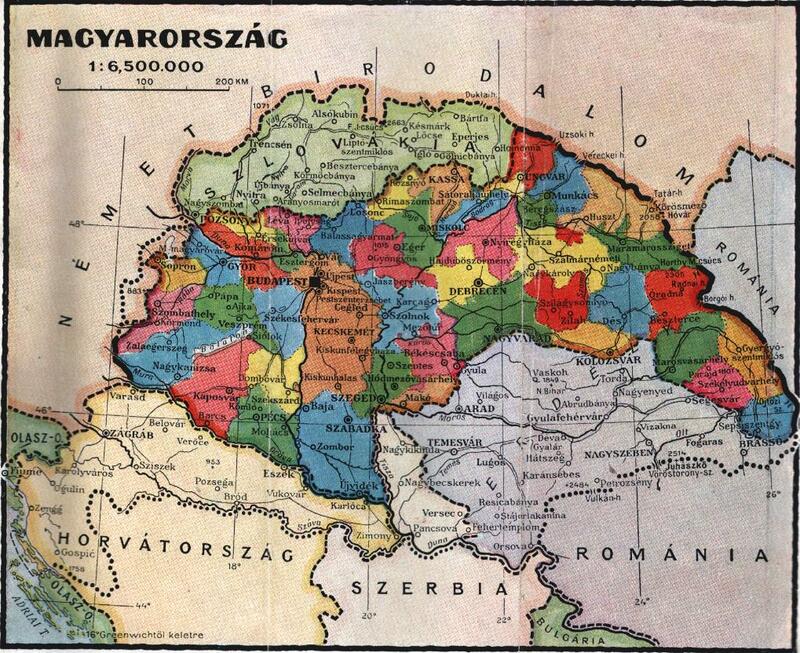 The Hungarians went to bed in Hungary and woke up in Romania, since the peace treaty of Paris in 1947 did not take ethnic borders into account. This caused and still causes serious problems in Europe after 1947. 2. Ethnic cleasing in Northern Transylvania. 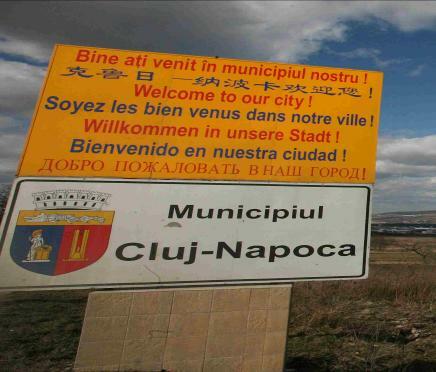 The autonomous population of North Transylvania has been given more air to breath, since Romania joined the European Union in 2007. This means that the autonomous population can use its own language, with limitations however. This is a right, which only exists on paper. Till present day old people and children are excluded from the society, by the authorities of Romania, only for the reason of speaking the language of the country they have been born in. In other countries such as Finland and Italy, but also Belgium autonomous linguistic minorities have far going autonomy. 5. Romain citizenship for Moldavians. 6. Annexation of Moldavia ? After the peace treaty of Paris Northern Transylvania has been added to Romanian, but Moldavia had been attached to the Soviet Union. Romanian politics have always been very critical about interest of the EU member state, towards its Hungarian speaking population. It is fair to say that the Romanian government is very hypocrite in this case. On top of this the Great Romania party wants to go beyond the point of giving passport a present, and wants a complete annexation Moldavia. FiguRE 2. 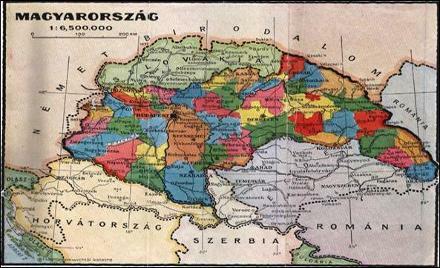 NoRTH TransYlvaniA BELONGED TO HUNGARY TILL 1947. The citizens of the Romanian state are the autonomous inhabitants of Romania, these Romanian citizens can be ethnically Romanian or Hungarian, or can belong to another autonomous ethnic group. FigurE 4. PuBLIC HUMILITATIONS OF THE HUNGARIAN POPULATION BY THE ROMANIAN GOVERNMENT. FigurE 5. ETHNIC COMPOSITION OF MOLDAVIA. YelloW REFERS TO ROMANIAN SPEAKING, GREEN TO UKRANIAN. FiguRE 3. 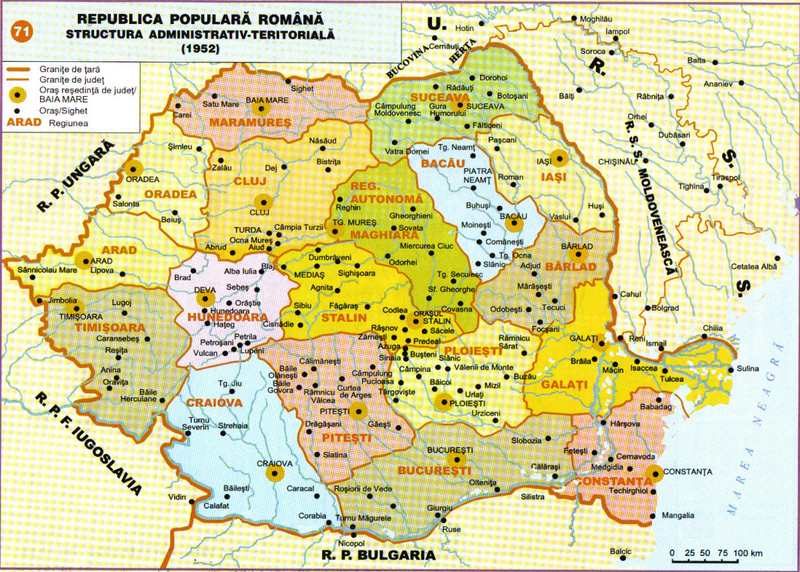 NORTH TRANSYLVANIA BECAME A PART OF ROMANIA IN 1947. PLEASE NOTE THAT THERE WAS A HUNGARIAN AUTONOMOUS REGION. 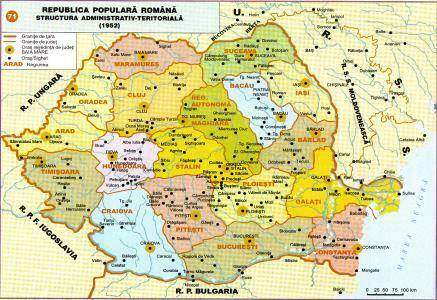 (REG.AUTONOMA MAGHIARA)THIS AUTONOMOUS REGION HAS BEEN ILLEGALLY REMOVED BY THE ROMANIAN DICTATOR CEAUŞESCU, IT IS STILL NOT RESTORED. FigurE 6.EtHniC COMPOSITION OF TRANSYLVANIA. RED REFERS TO HUNGARIAN, BLUE TO ROMANIAN. 7. New ethnic cleansing in the European Union ? Prime minister Basescu never apologized for the huge human right violations that occurred against the native population of his own country. He goes far beyond the line by directly intervening into the internal affairs of a sovereign state. Hopefully this plan will be stopped and Mr. Basescu will make his apologies to his own citizens, who have been subjected to oppression. Citizens who were the victims of the political division of Europe in 1947. 8. Illegal expansion of the European Union ? In 2007 the European Union was enlarged through the entrance of Romania and Bulgaria. 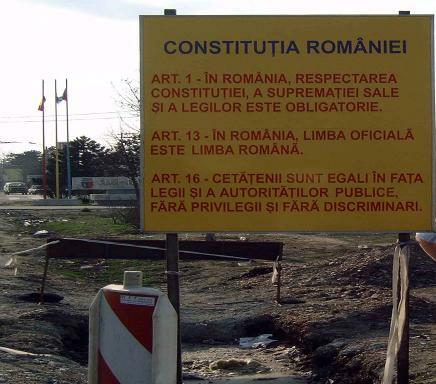 Because of this all Romanian and Bulgarian citizens have become European citizens as well. Giving a Romanian passport to 1 million Moldavians is in a fact an illegal expansion of the European Union. 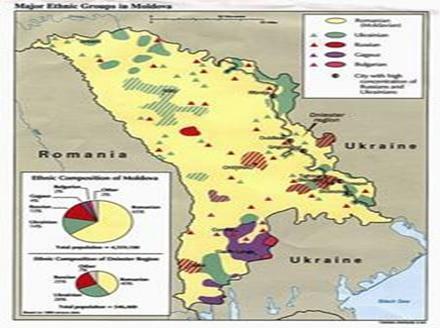 There is no guarantee that Romania will give a Romania as a present to Moldavians. There are in fact three million Moldavians that do not have a Romanian passport. During the history of the European Union such an enlargement has never taken place. 9. What should be done ? As long as the Romanian economy is depending on the millions of Brussels, the Romanian government can not neglect legitimate criticism from its donators. We hope that Dutch and European policy makers will be brave enough to act responsively. The European Union should have a critical look at the obligations of the Romanian state towards its inhabitants Last but not least the European treaties should be monitored as well. Brussels should have a look at the way Romania is governed. It goes without saying that the Romanian government should cancel this legislation immediately. Hopefully concerned European citizens will act with all necessary means to stop the illegal expansion and the planned ethnic cleansing. TODAY ABOUT 19 % IS HUNGARIAN. BEFORE THE ETHNIC CLEANSING BY CEASESCU THE CITY HAD A HUNGARIAN MAJORITY.